Hot Chips The mystery surrounding the number of cores in the 64-bit Power processor that will be at the heart of the 20 petaflops "Sequoia" BlueGene/Q supercomputer has been finally cleared up. 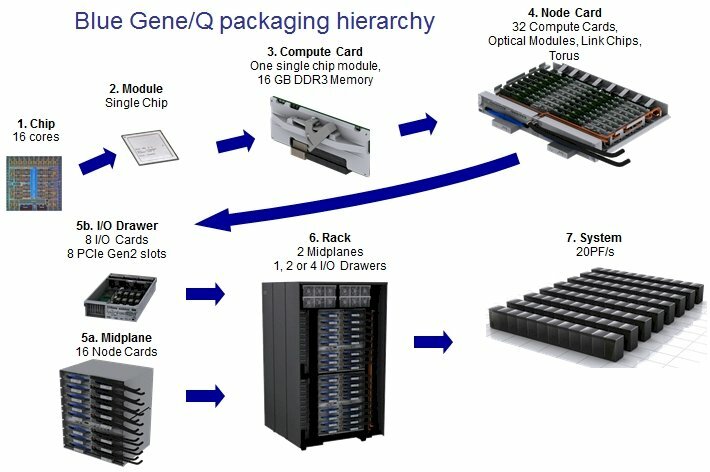 Back at the SC10 supercomputing conference in November 2010, a software engineer working on the BlueGene/Q system told El Reg that the processor module at the heart of the system would have 17 cores: one to run the Linux kernel and the 16 others to perform mathematical calculations. 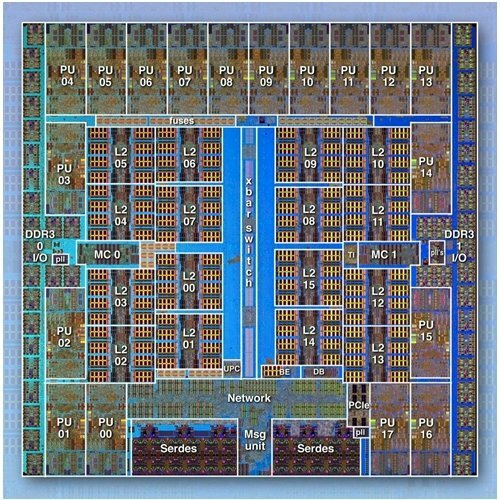 IBM also said at the time that this chip would be a variant of the PowerA2 "wirespeed" processor, but geared down to 1.6GHz from its 2.3GHz design speed. Like IBM's commercial Power7 chip, the BlueGene/Q processor has 32MB of embedded DRAM as cache memory, but this is implemented as an L3 cache on the Power7 and it's an L2 cache on the BlueGene/Q processors. Each BlueGene/Q chip has two DDR3 memory controllers, which have ECC scrubbing and which support 16GB of total memory running at 1.33GHz. 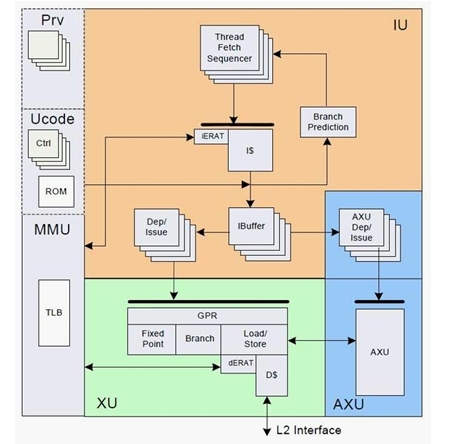 The logic for IBM's 5D torus interconnect is also embedded on the chips, with 11 links running at 2GB/sec. Two of these can be used for PCI-Express 2.0 x8 peripheral slots. 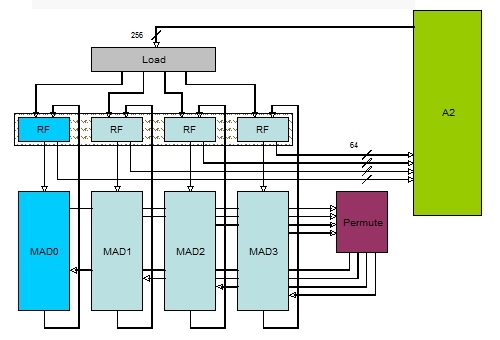 The 14-port crossbar switch/router at the center of the chip supports point-to-point, collective, and barrier messages and also implements direct memory access between nodes. The 17th core runs Red Hat Enterprise Linux, and it's designed to offload operating system services from the other 16 working cores on the BlueGene/Q processor to eliminate distracting OS noise and jitter. This 17th core will take care of interrupt handling, asynchronous I/O, MPI pacing, and RAS event handling, which you need in a system with 1.57 million working cores. In the event of a core failure, the system can remap the cores, bringing the 18th core online if it hasn't already been blocked off because it has a booger on it.